Every year my daughter and husband attend an annual Father/Daughter dance put on by one of the local Girl Scouts Troops. It's a night that's special to just the two of them and they both look forward to it every year. For me it's a night to watch as my husband teaches our daughter how a man should treat a lady. And to watch as my daughter soaks up all of the attention she receives from her daddy. Of course every special night has to have a special dress. And my daughter being one that likes to go all out always has to get a new dress just for this occasion. It's usually something she will wear again for other occasions through out the year so really it's not as big of a deal, but it's a time she looks forward to every year knowing that new dress is coming. That usually leads us to dress shopping that feels like it goes on for days and days. Fortunately for me this time I had her shop online instead of taking her to stores to try on countless dresses. I set her up on the Noori Dresses website and let her go to town picking out dresses she liked. At one point I think we had 15 different tabs open on my computer browser that she had picked out. Slowly we started eliminating dresses one by one. Some because they didn't come in her size, and some because I pointed out to her it needed to be something she could wear more than once. By that I mean not a dress that was so extravagant that it wouldn't be good for wearing to more than an elaborate night out. Once we got it narrowed down to five dresses then we brought in dad and asked his thoughts on them and then narrowed it down again a few more. We did finally settle on a dress as you can see, and I have to say I'm so glad we picked this one. It's super beautiful on my daughter, and it's something she could wear again. It has a cute flower and scarf that you can detach and wear various ways so it's even customizable a little. We got it in a size 14 because my daughter typically wears between a 12-14 in girls clothing. I think it fit her perfectly, and with a little room to grow so it will be great for her first middle school dance next year even! I have to say I am glad we went with the online shopping at Noori Dresses for her dress this year. 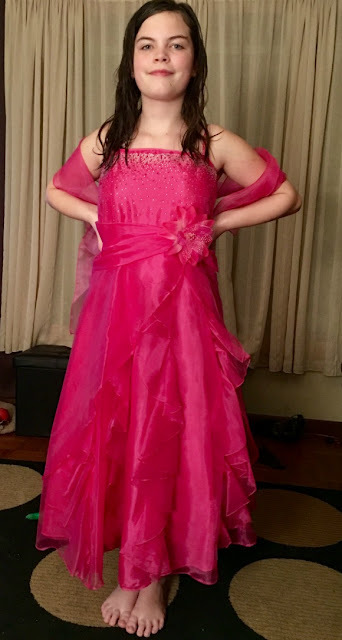 It was just a lot less stressful then taking an 11-year old out dress shopping and having her try on a dozen dresses trying to find exactly what she's got pictured in her mind as the perfect dress. This way she was able to look at a bunch of dresses all at once and in different colors. Have you ever dress shopped online? Was the experience as good as ours? Your daughter looks beautiful in her dress. My niece had a father/daughter dance last year & know my brother enjoyed taking her. These dances are increasingly popular. All of the school districts in our area now have them, as well as many churches and the YMCA. What a sweet post! Her dress is so pretty. 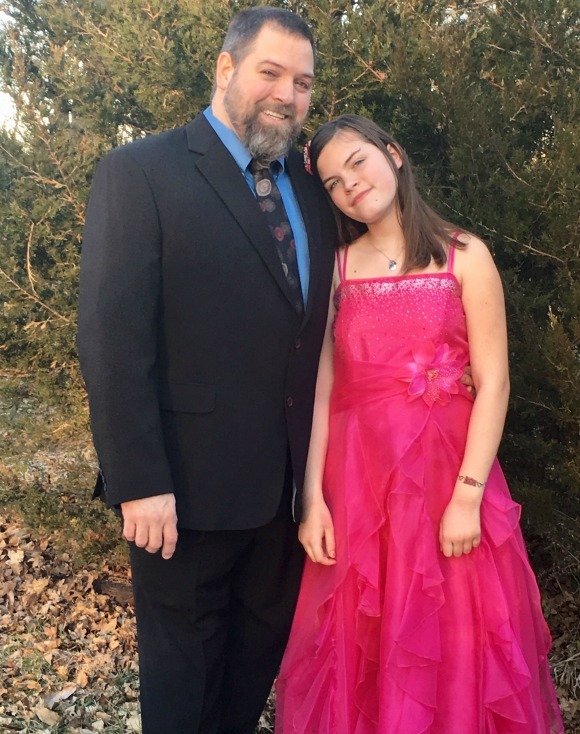 A father/daughter dance is such a great idea! Your daughter looks great in that dress. I think a Father/Daughter Dance is a great idea and is a memorable bonding experience. So pretty! And Noori has a great selection. Such an gorgeous dress that she has. I have never myself purchase an dress online due always worried about sizing. I love the color on her, she looks lovely. There is nothing more special than a Daddy and daughter dance. Your hubby looks dashing too, I bet they had a wonderful time. I havent went dress shopping online, it sounds like you had a great experience.